That's right, you sold him, and now he's ours. It's payback time. Currently, Sampdoria have two ex-Milan players in Maxi Lopez of Hotelgate fame and a player who never officially played for Milan, Bartosz Salomon, both having been at Milan for a mere six months. But Milan have a few more ghosts in their proverbial Sampdoria closet. Pazzini’s time at Sampdoria put his career on the map. Poli also spent time in the Blucerchiati, and most recently, Petagna spent the first 6 months of this season on loan to the club. Perhaps lesser known is that Seedorf also played a season of his career at the Marassi, so the haunted stadium is very familiar to him, too. Sampdoria have earned their 12th place perch with seven wins, seven draws, and ten losses. Their current run of form is L-D-W-W-L, with heir most recent encounter an emphatic 3-0 lass to Roma on Sunday. For that match, Mihajlovic lined up Costa; Mustafi, Regini, Gastaldello, De Silvestri; Krsticic, Gabbiadini, Wszolek, Palombo, Soriano, and Eder. However, their captain, Daniele Gastaldello got a second yellow during that match, and is thus suspended for our match. Additionally, poor Maxi Lopez is scrambling to come back from injury for our match, so is doubtful. Will he make it back from injury in time to haunt us? Seedorf comes into the match with a Serie A win last week vs. Bologna, but a heartbreaking loss to Atletico Madrid in the Champions League on Wednesday. More importantly, he’s got a team that resembles the walking dead more than a squad. In addition to the injuries of El Shaarawy, Birsa, Robinho, Silvestre, and possibly Zapata, Balotelli is out for 10 days with a shoulder injury and De Sciglio is out with an ankle injury. The heartening part of the heartbreak on Wednesday is that Milan played really well. But that was in the Champions League, we almost always seem to be able to step it up in big games like that. But with injuries, having to travel, and the ghosts of the Marassi to deal with, this game could easily be skewed in Sampdoria’s favor. Add to that the fact that Milan haven’t won away to Sampdoria since 2007, and it becomes a bit daunting. However, Seedorf’s record in the league is W-W-D-L-W, our best string of results all season by far. So it kind of depends on if you believe in Seedorf’s magic or the Marassi’s ghosts more. For me, it is personal. We sent a brilliant young Petagna on loan and Sampdoria barely played him at all, even though he is clearly very talented. I am not sure whether to thank them for this, because it was one of the factors that brought him back to the Rossoneri fold, or to be mad at them, because he needed the playing time. It doesn’t really matter, I guess, just so long as Seedorf gives him a few minutes to show them what they are missing. With Balotelli out, Sampdoria’s exes could really come back to haunt them with goals against their former club. So maybe Pazzini to start the massacre, and Petagna to finish the job? That would be fine by me. Even with the renewed optimism that Seedorf has brought with him, I can’t confidently predict a Milan win here. There are too many factors that could come into play. I can only hope for the best, hope that the injuries don’t punish us too much, and hope that being tired from our Champions League foray doesn’t hurt us, either. 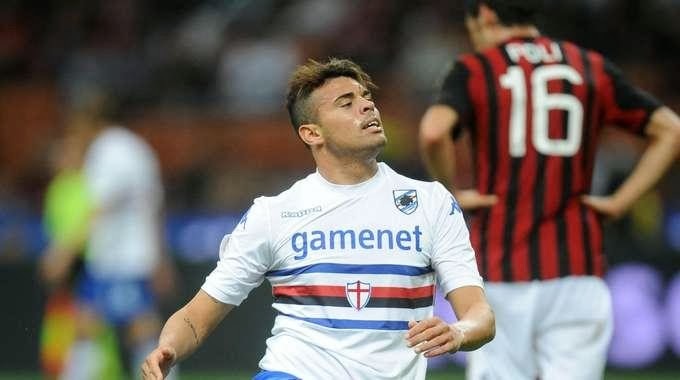 But most especially, I hope that it is our ex-Sampdoria players who punish their former club, not the other way around. That is the way to take advantage of such familiar haunts.